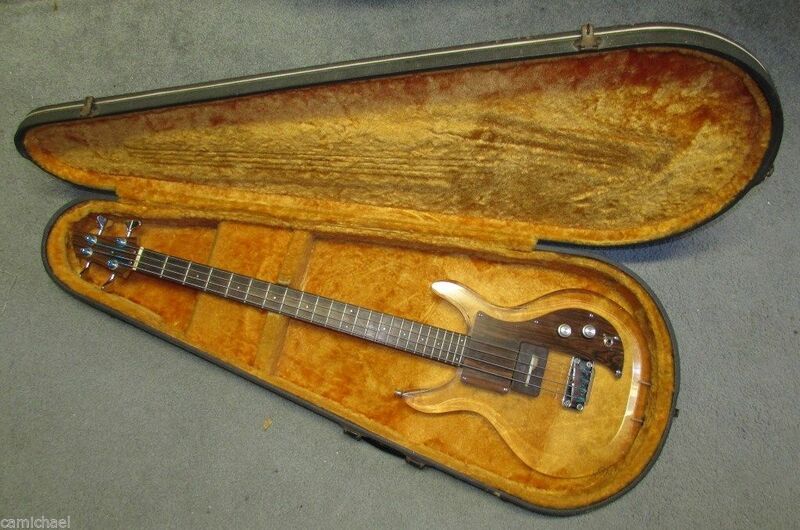 Here's a fairly early example that seems to have gotten a lot of playing time over the years. 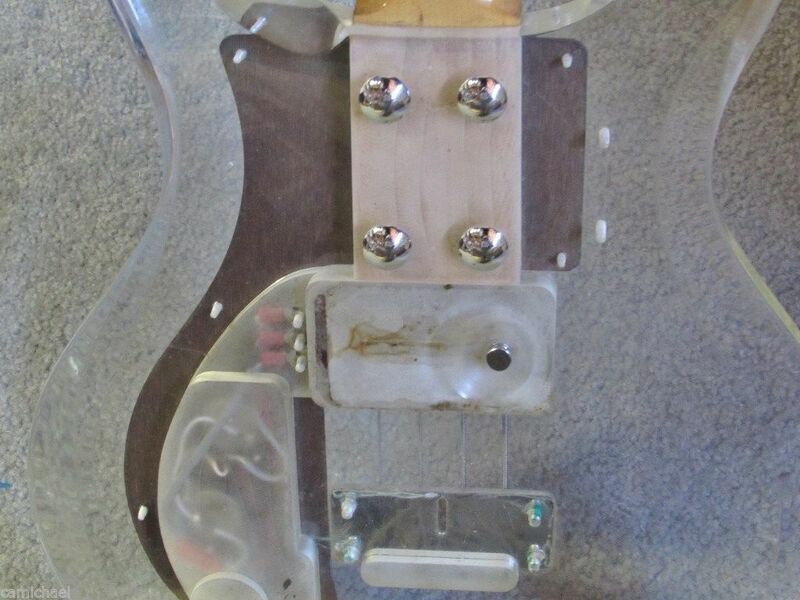 The original case and tuners are long gone and some of the strap buttons have been changed out too. But the real concern is the tone control, which the seller said "has an issue." 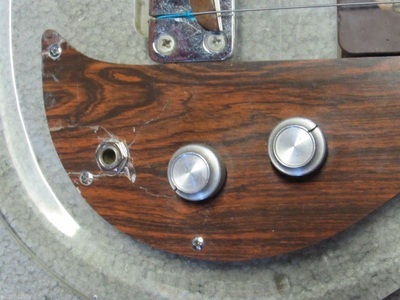 Does that mean the pot is scratchy, or has half of the dual-coil pickup gone bad? 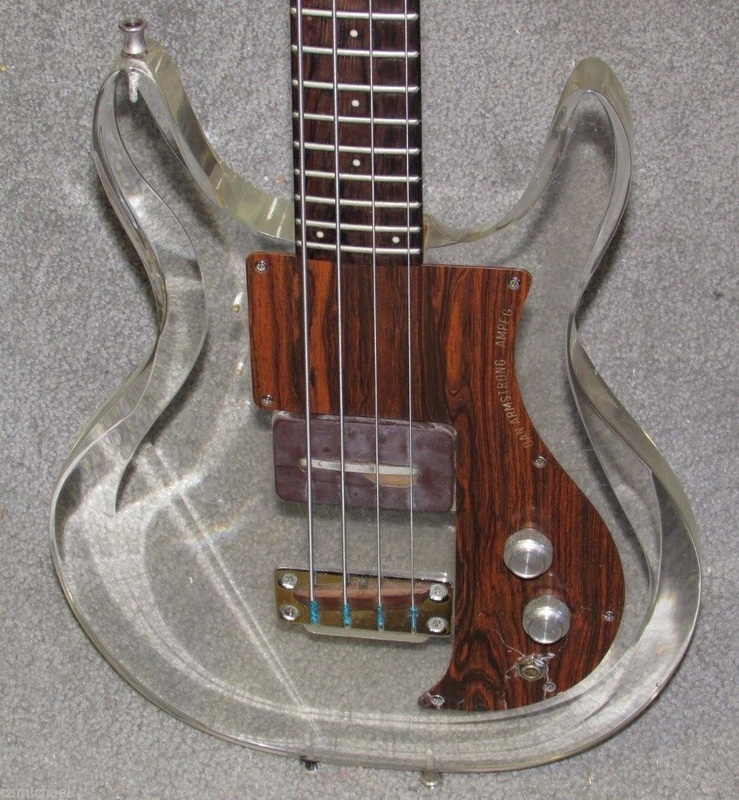 Starting bid of $999 is reasonable and it ultimately sold for $880. 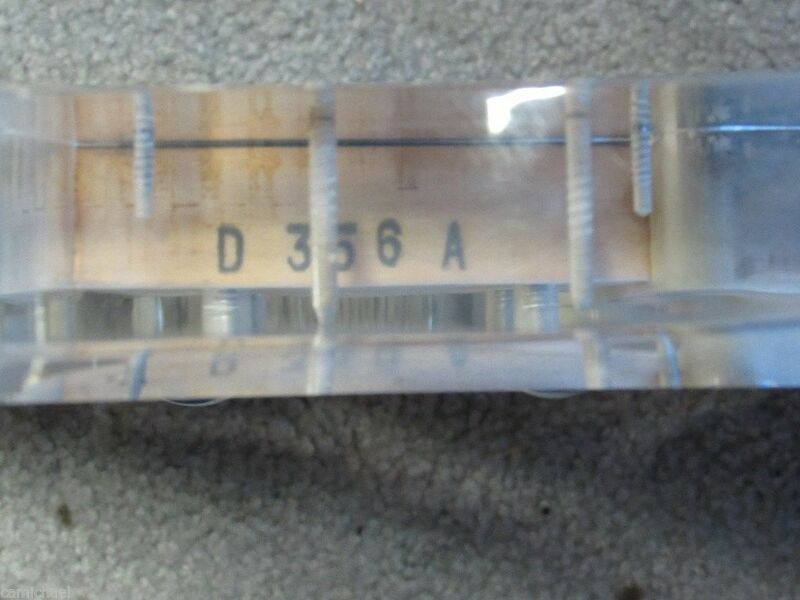 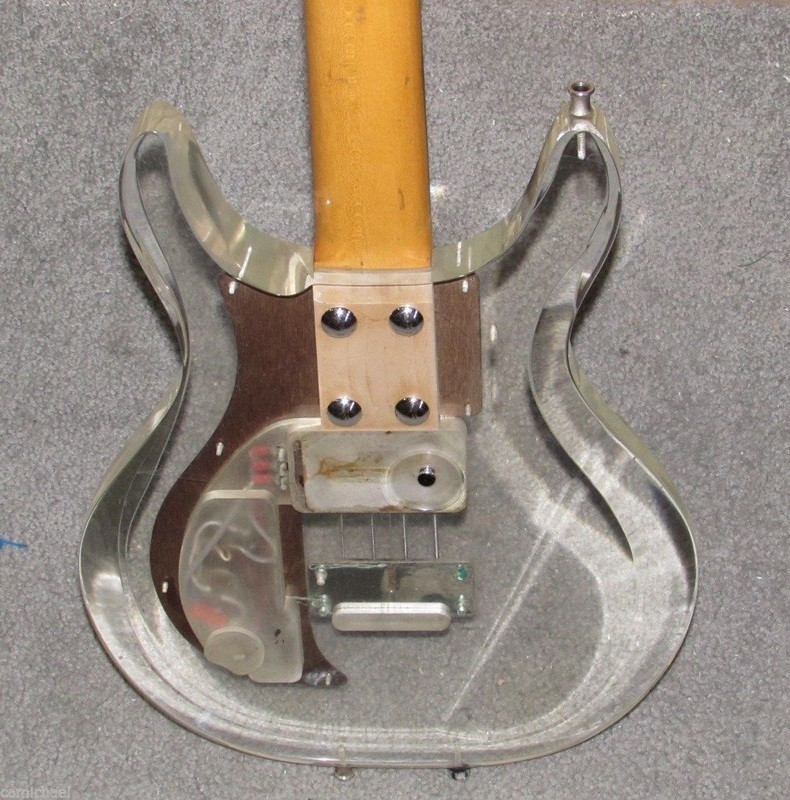 "You are bidding on a Vintage 1969 Dan Armstrong Ampeg Lucite See-Through Guitar w/ Case. 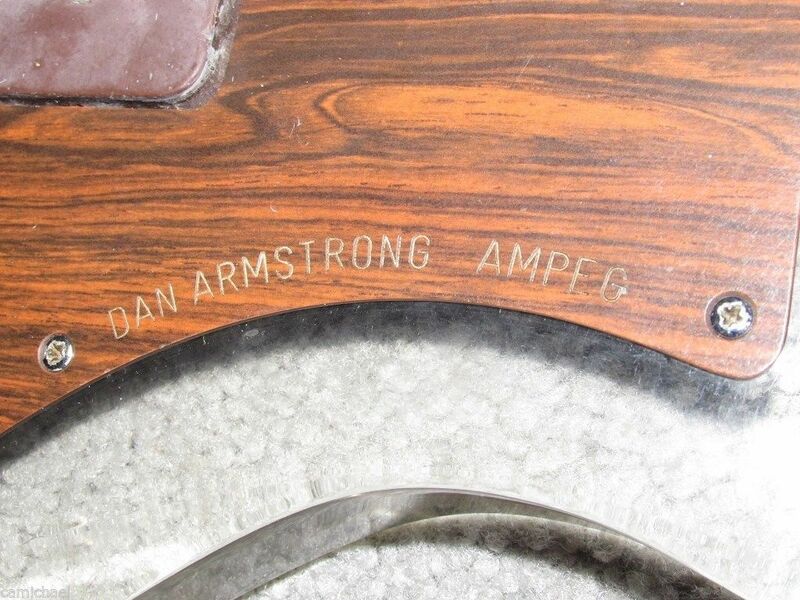 The serial number on this is D356A and was made in 1969. 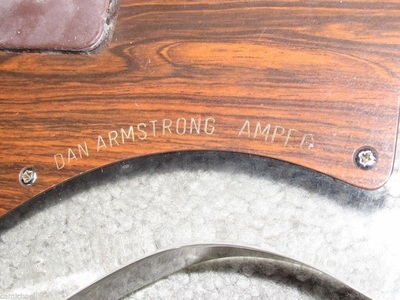 The wood grained Formica scratchplate is adorned with the words Dan Armstrong · Ampeg. 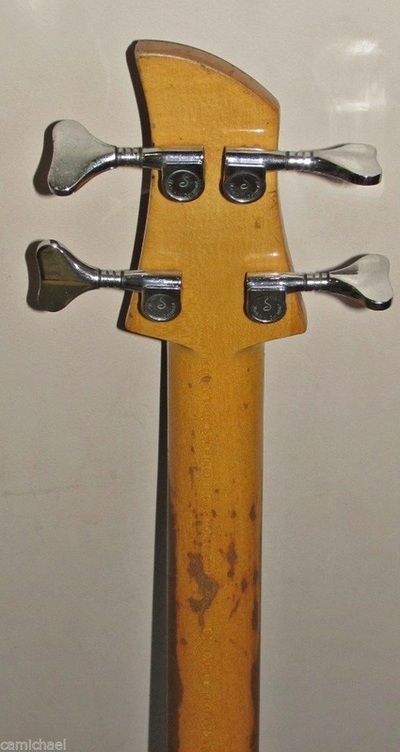 It has damage around the jack that is very common for these instruments. It was tested by a local guitar center and they found the volume works fine but the tone has an issue. 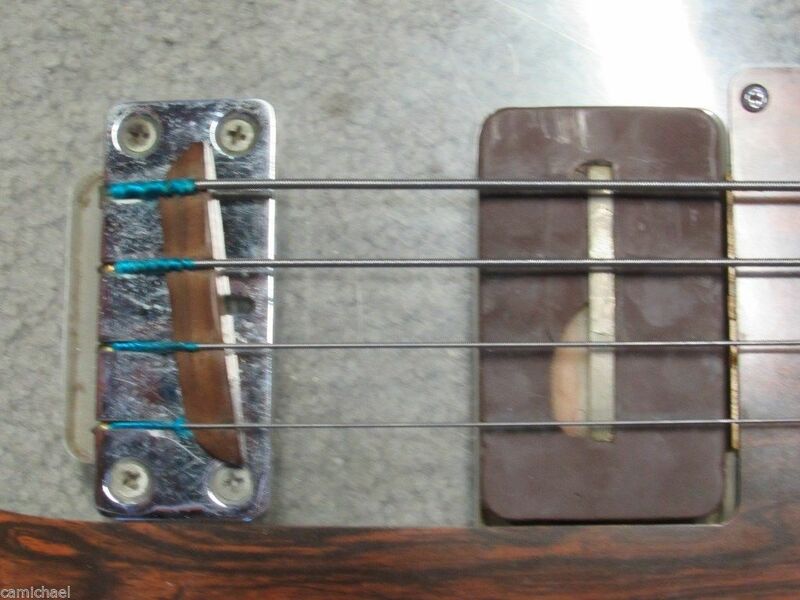 The back has scratches as you would expect. 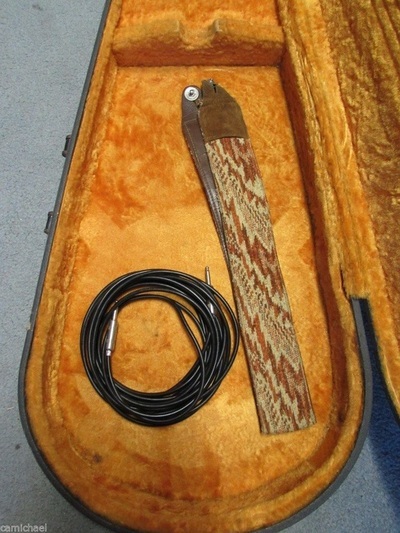 It comes with a case (not original), cord and strap. 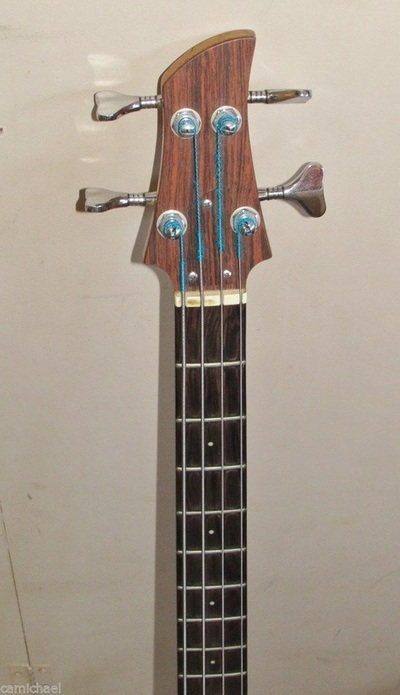 Please take a look at the photos and ask any questions before bidding."